What is the best bet in Baccarat? Baccarat is a casino game that is increasing in popularity as more and more people become familiar with it. Baccarat has long been known as a game for the rich. 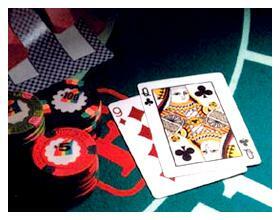 In land-based casinos the baccarat pit is often roped off and given an exclusive feel. This is done to cater to high rollers. This exclusivity has turned off many average gamblers. However, with the popularity of online gaming and the increase of mini-baccarat that often has lower minimum bets, baccarat is now being played by the masses. The Banker hand will win. The Player hand will win. The Banker and Player hands will tie. Two of these three bets have a low “house edge” (casino advantage) and the other is one of the worst bets in the casino. Let’s start with the bet to stay away from and that is the “tie” bet. It has a house edge of over 14% which is one of the worst bets in the casino. Stay away from the tie bet. The player and banker bets are both pretty good bets, but there is one better than the other. The player bet has a low house advantage of 1.24% but the banker bet is even lower at 1.06%. In contrast to the tie bet, the banker and player bets are two of the better bets in the casino. Many gamblers are reluctant to bet on the banker hand because it is perceived as the casino’s hand and it’s like they are betting on the enemy. Don’t let this keep you from betting on the banker. It has the lowest house advantage and is the mathematically best bet to make. If you bet on the Banker you will have the best odds of success in the casino.